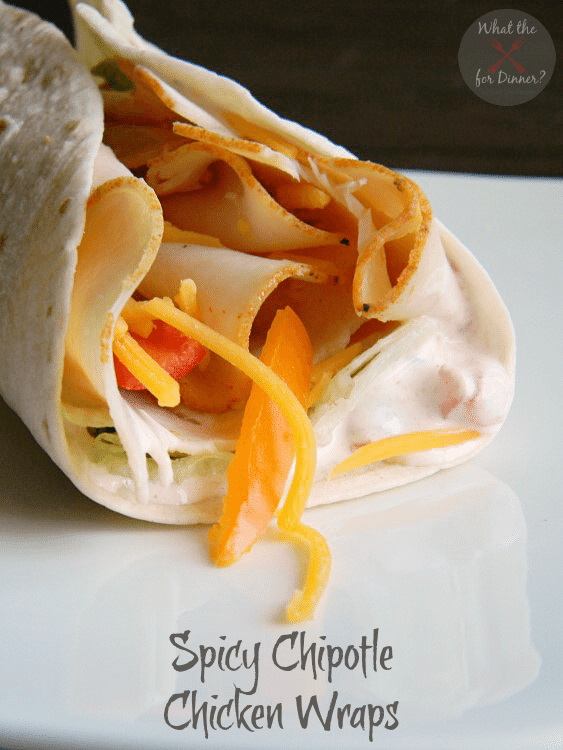 Spicy Chipotle Chicken Wraps are a perfect chipotle chicken recipe for summer. Packed with fresh flavors and a spicy dressing, there’s no need to heat up the kitchen to put a delicious meal on the table! This semi-homemade recipe is sure to be a lunch time favorite. When you say 1 can of Rotel, are you talking Rotel diced tomato & green chiles? BTW, it shoulds delicious! Thanks for sharing! Delicious and easy! I might use leftover chicken breast in this too! Yum! Better get some rotel!